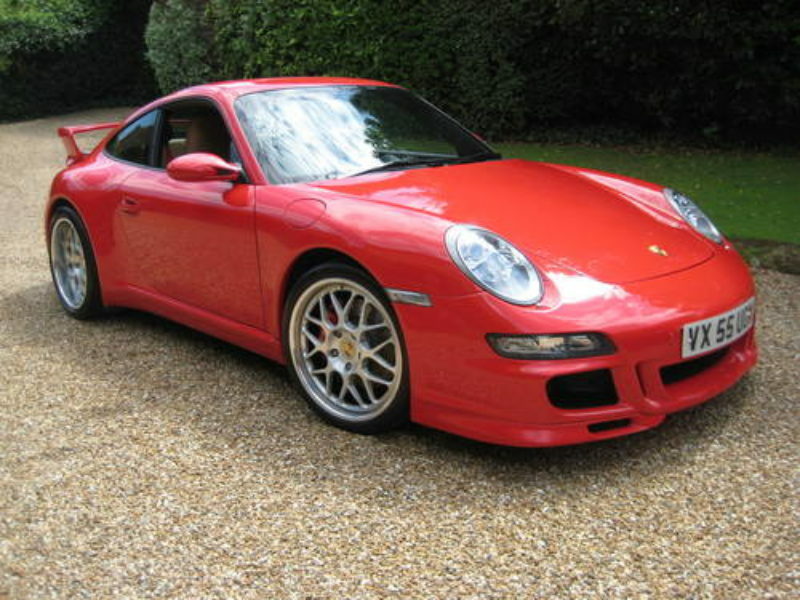 JUST 32,000 MILES & ONLY 2 P/OWNERS FROM NEW WITH FULL PORSCHE CENTRE EXTER HISTORY. 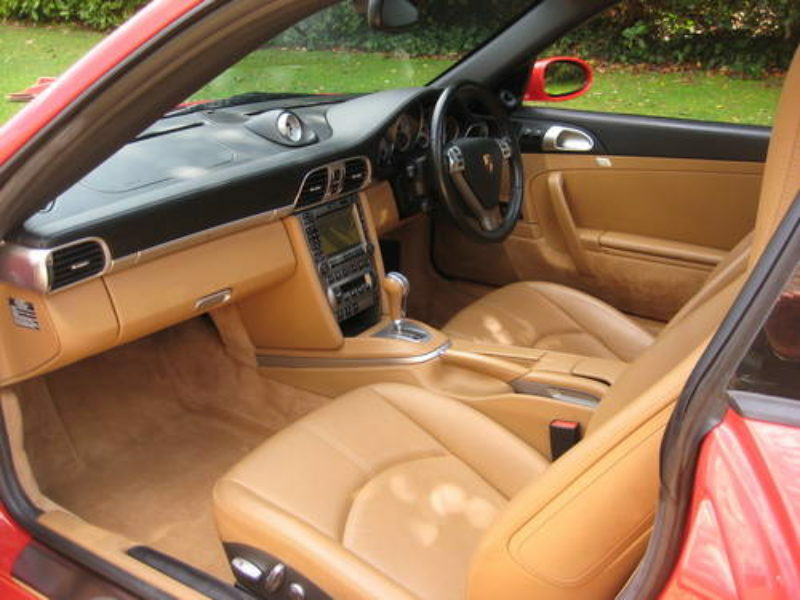 2006 model year example with an unbelievable £24k of factory optional extras! Cost new in excess of £93k! 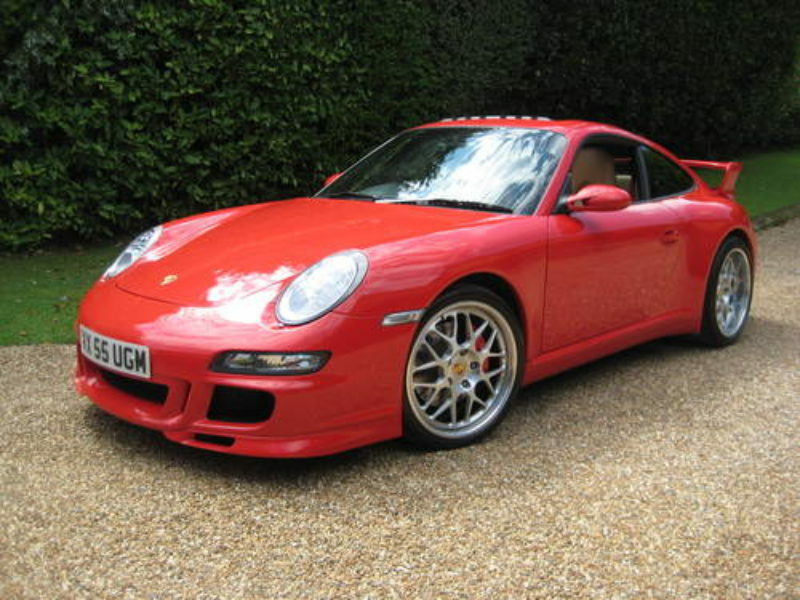 This is the highest spec 997 we have ever seen. 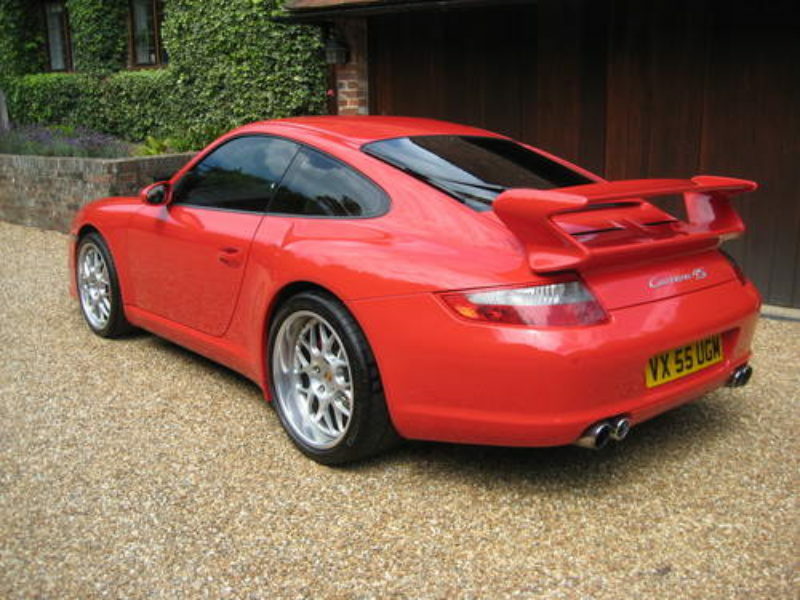 Very rare Factory Upgrade Carrera S Powerkit (Cost £8,241 & increases power to 381bhp, with a 0-60 f 4.4s, and top speed of 186mph), full Factory Aerokit Cup (£3,309) with painted side skirts & massive 19″ polished Porsche alloys (305/30 rears & 235/35 fronts), sports exhaust system, sport Chrono Package Plus, PCM Navigation Module, telephone module for PCM, homelink, electric slide/tilt sunroof, electric heated seats with Porsche crest embossed on headrests, leather interior pack in two-tone combination, extended leather to instrument surround, rear centre console, inner door sills & door finishers + leather sun visors, guards red seat belts, stainless steel door entry guards, 3-spoke multi function steering wheel, cruise control, auto dimming rear view mirror, park assist, rear wiper (with aero blade), Porsche crest wheel centres, fitted carpet mats etc. 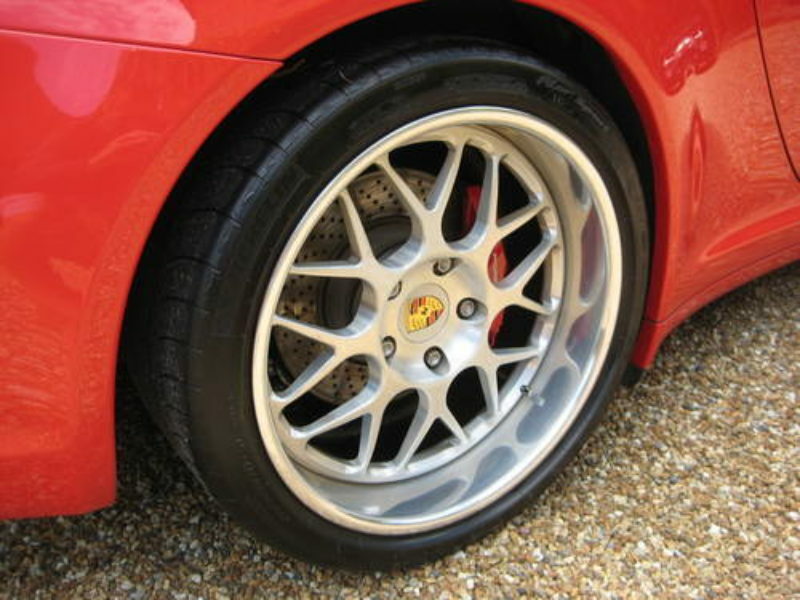 Complete with full Porsche centre Exeter service history from new + just had major 12 year service carried out. 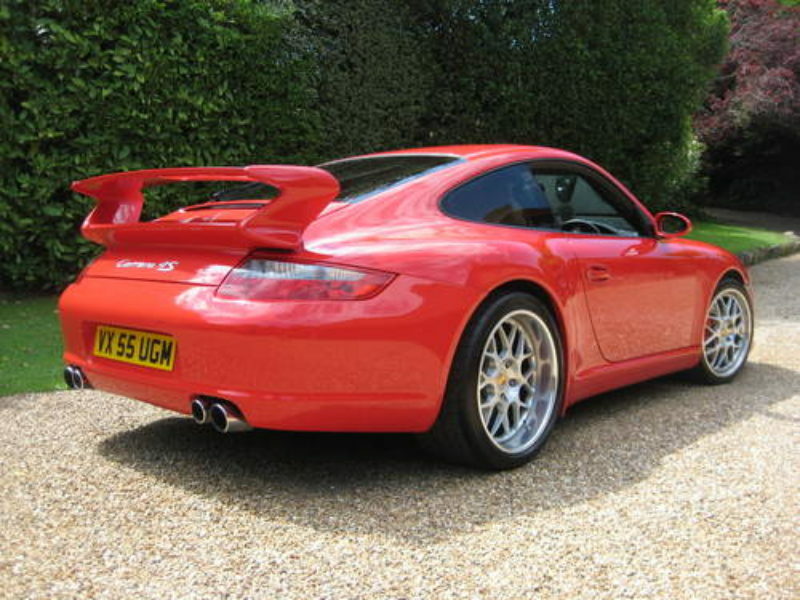 THIS IS AN ABSOLUTELY STUNNING LOOKING, LOW MILEAGE EXAMPLE WITH AN UNREPEATABLE SPECIFICATION.